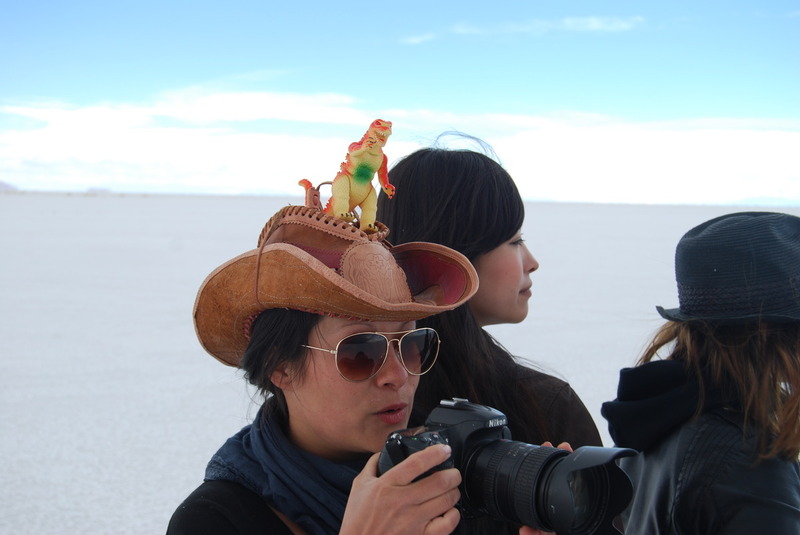 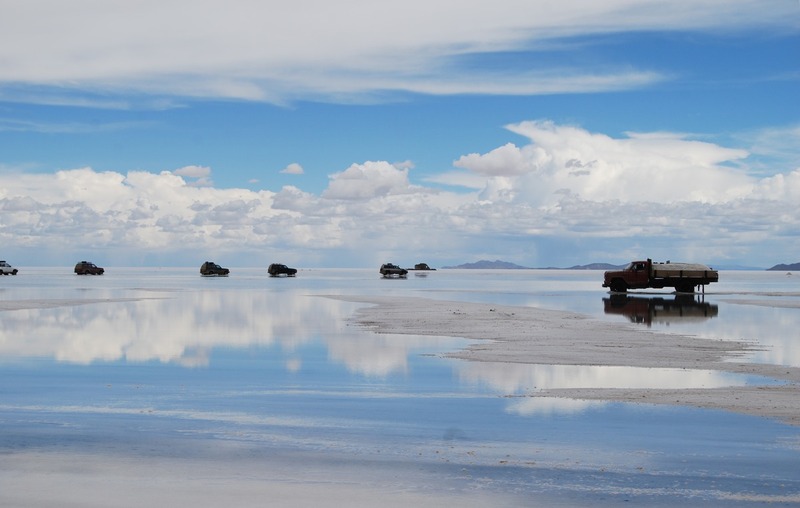 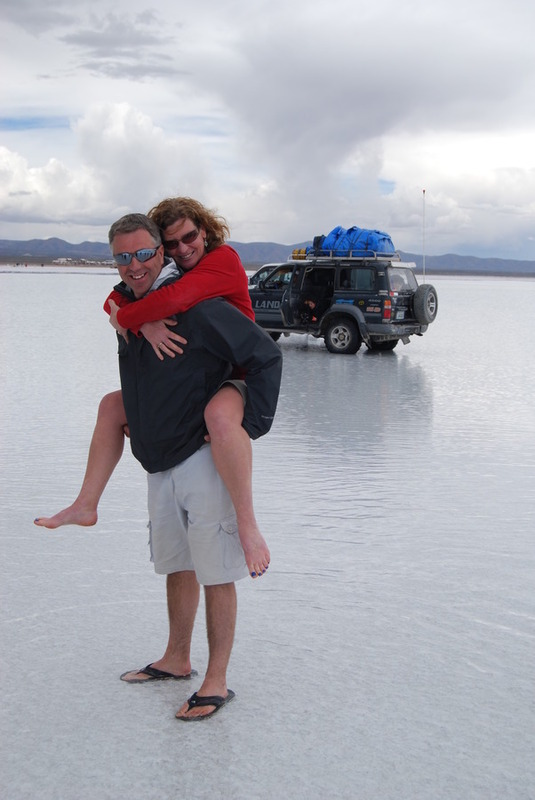 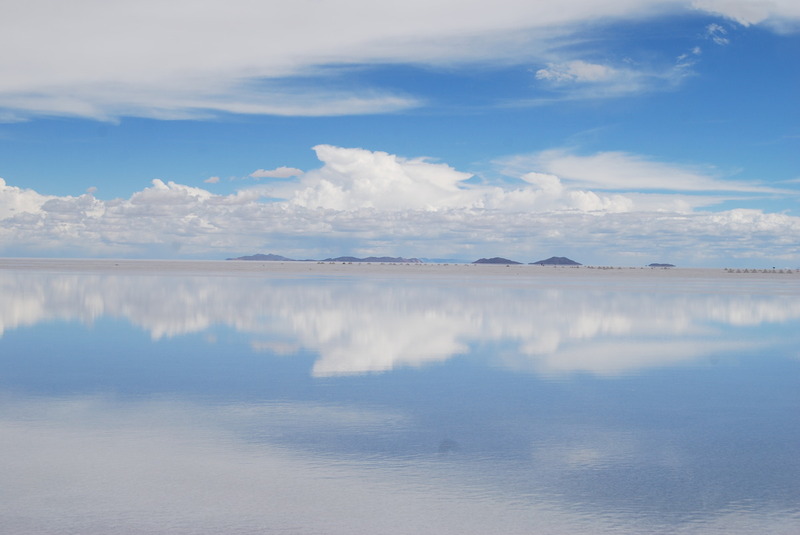 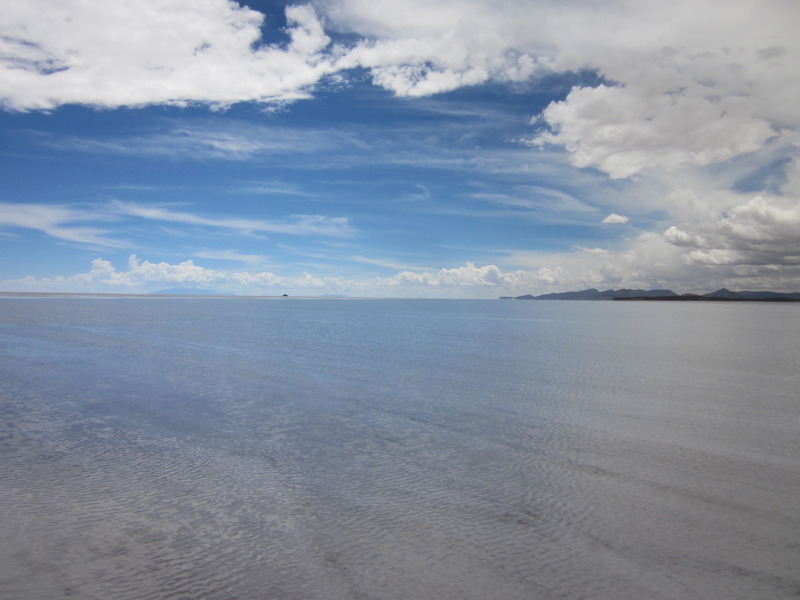 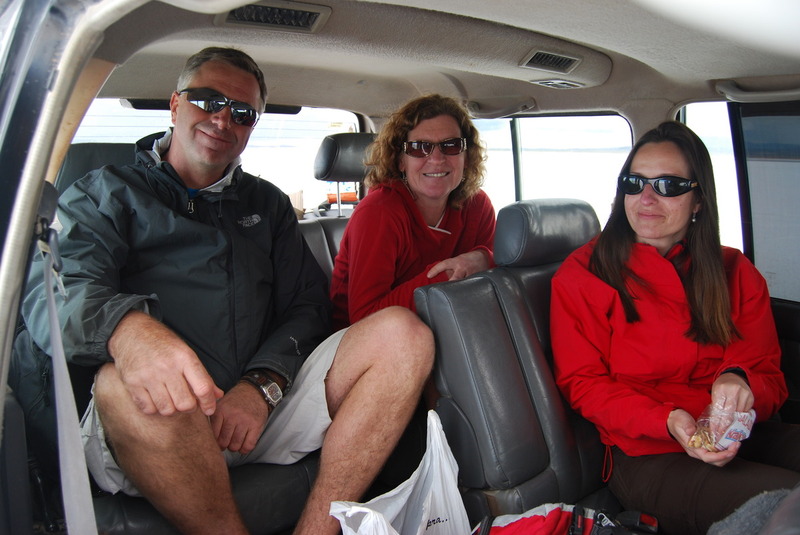 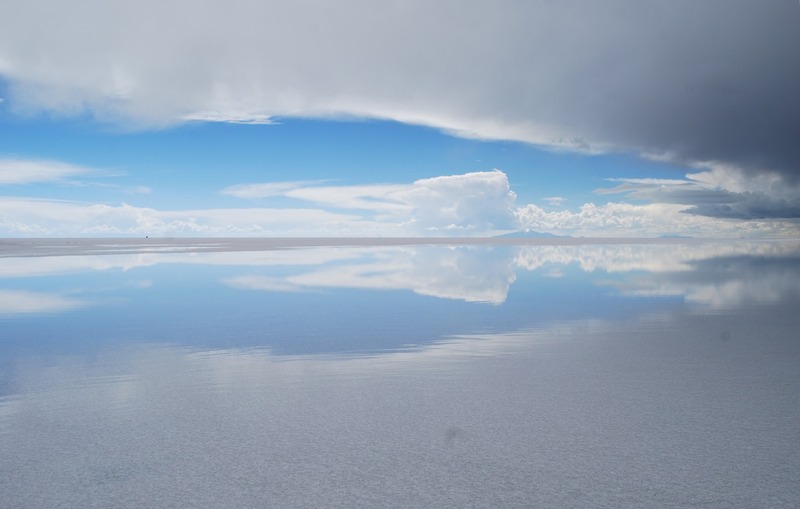 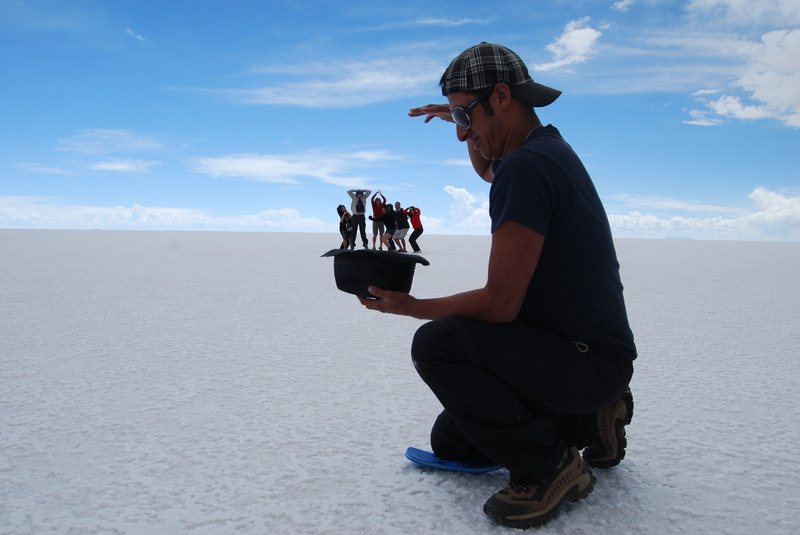 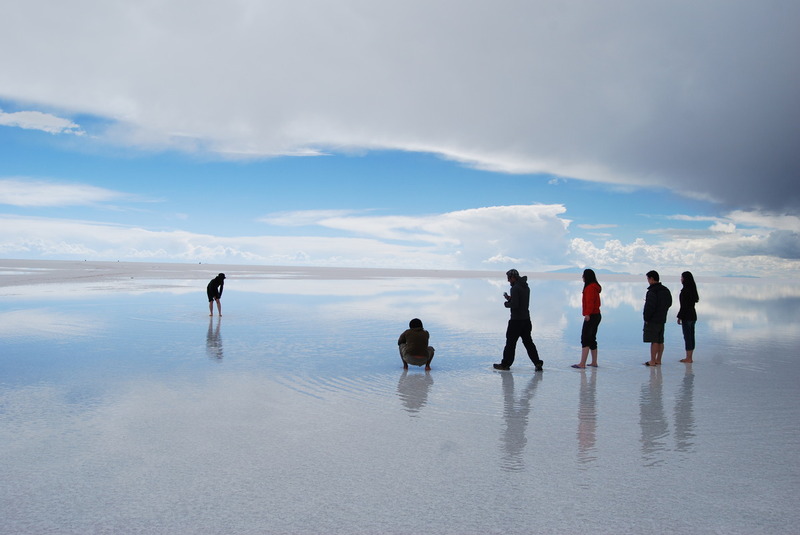 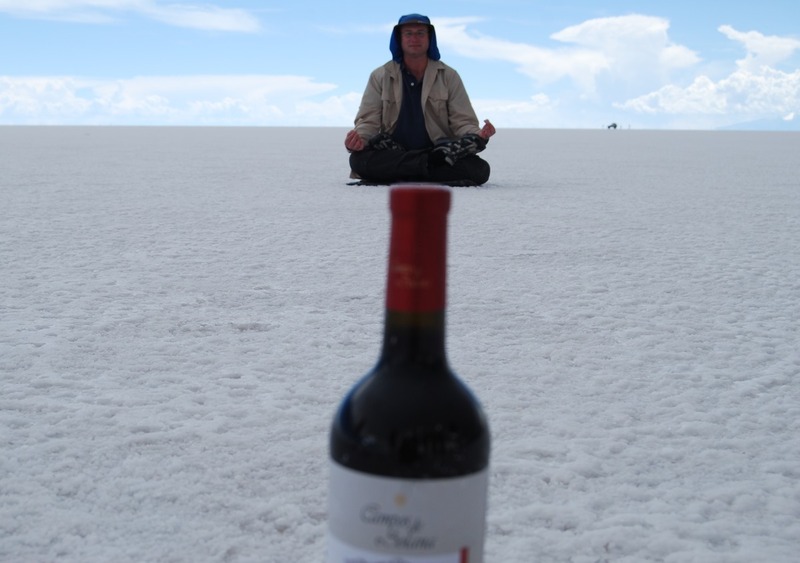 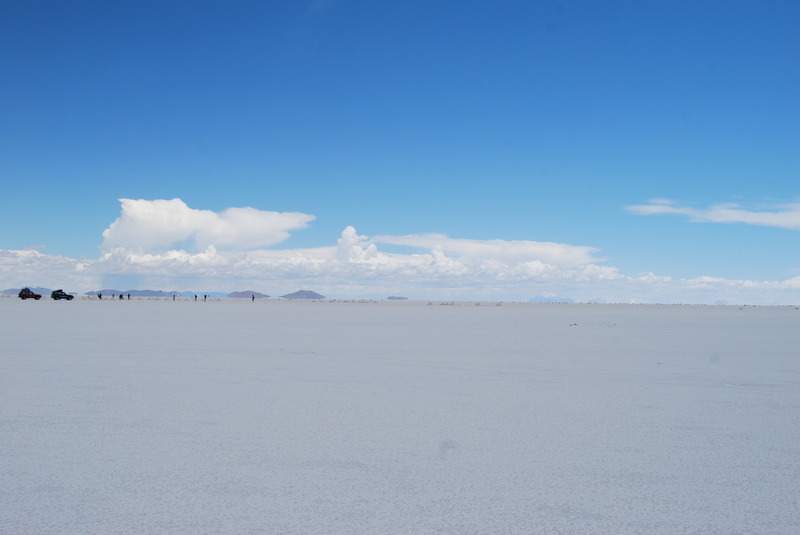 Just out of Uyuni is Salar de Uyuni, aka the salt flats. 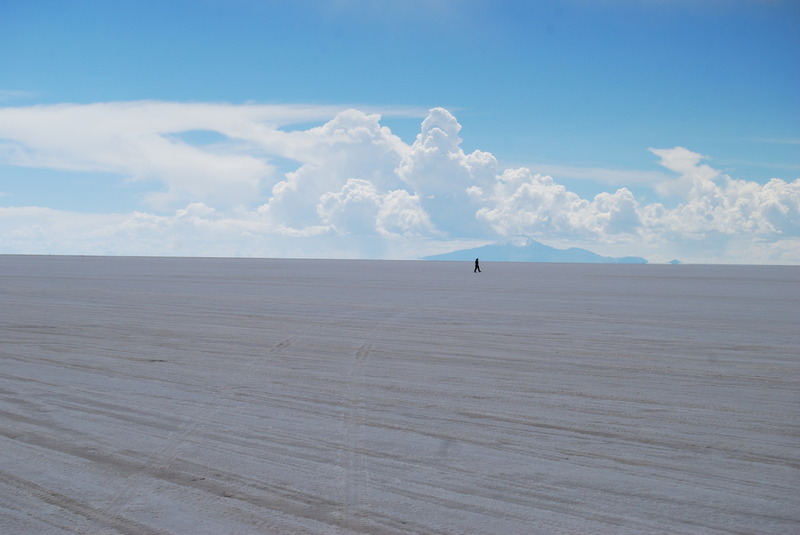 It is what it says, a huge salf flat. 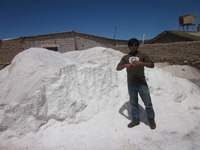 Locals are permitted to harvest salt within a certain radius of their village; so there is a little village on the edge which takes the salt, dries it, grinds it, then puts it into little bags. 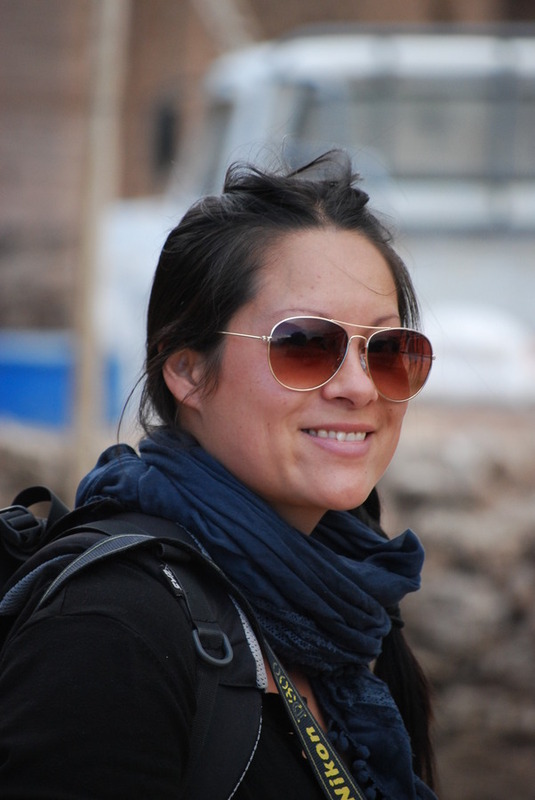 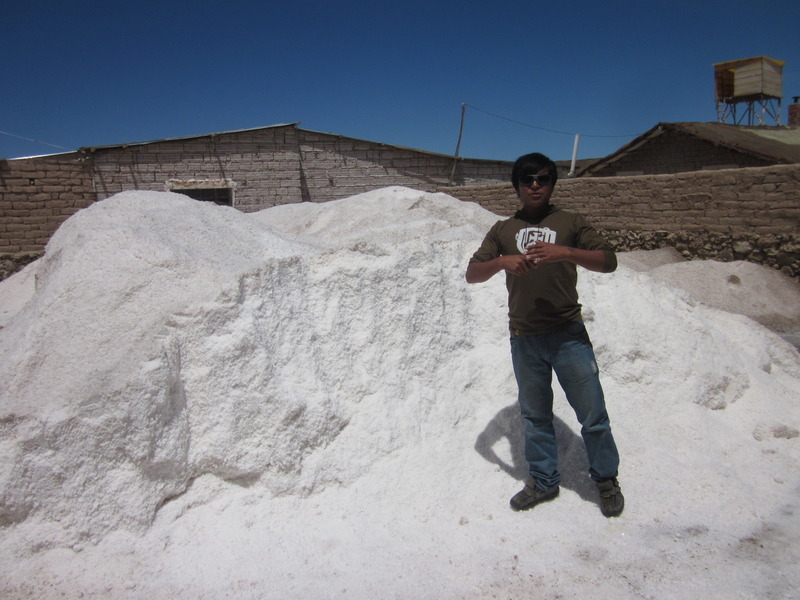 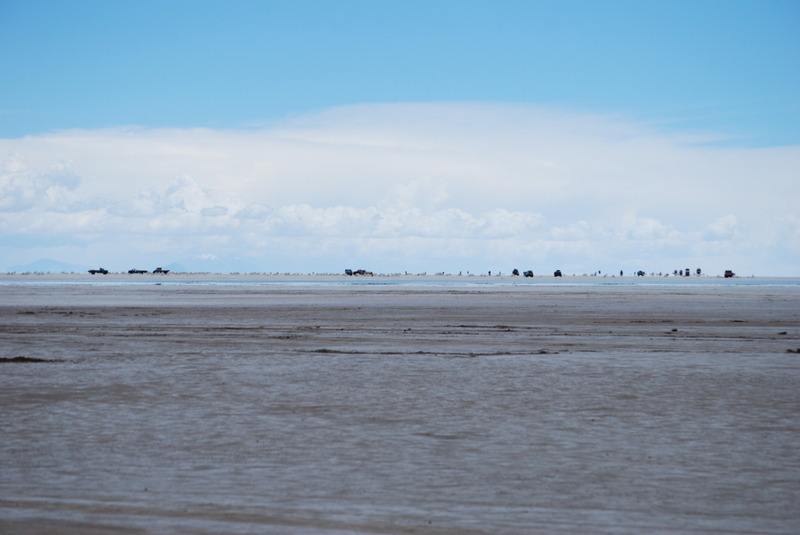 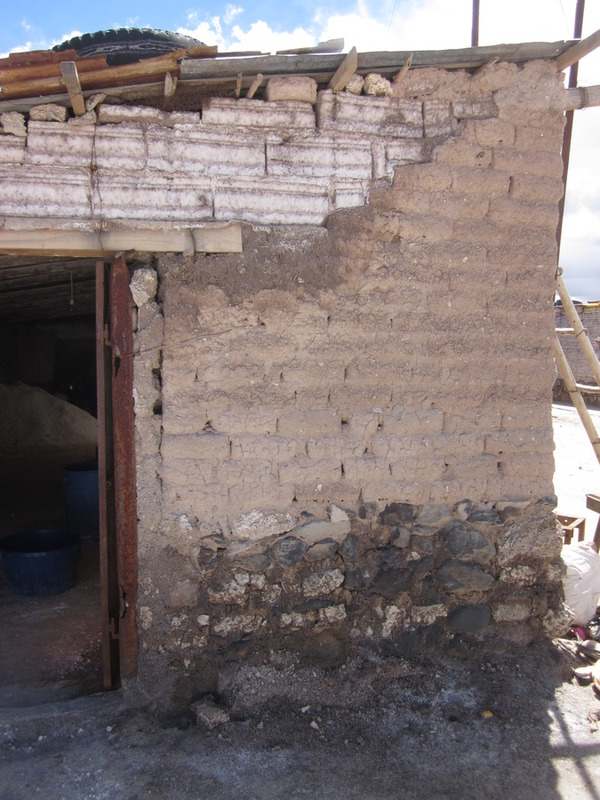 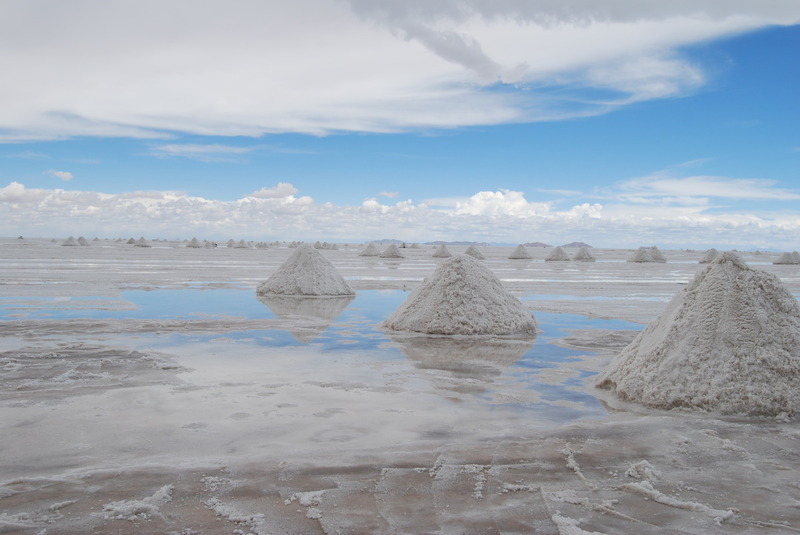 The village itself is interesting, they use salt blocks as building blocks, then out of town on the salt flat itself they rake the salt into piles, leave it for four weeks to dry out; shovel it into a truck, then take it to town to dry out more. 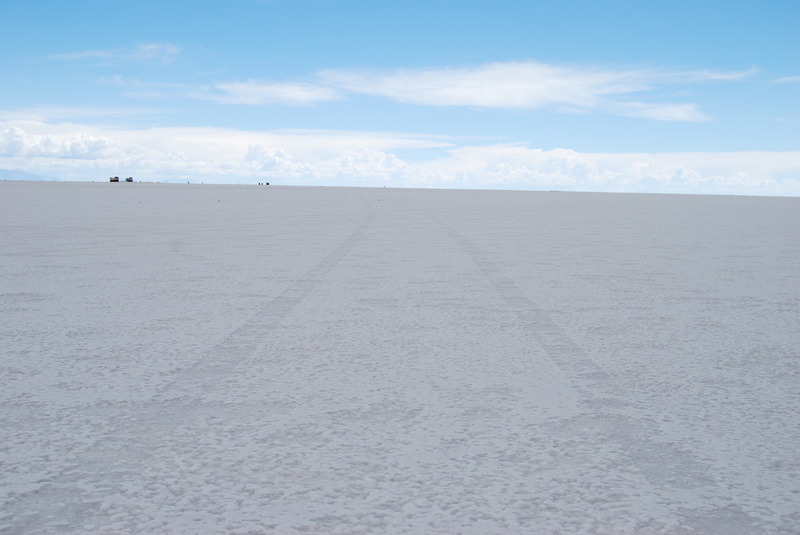 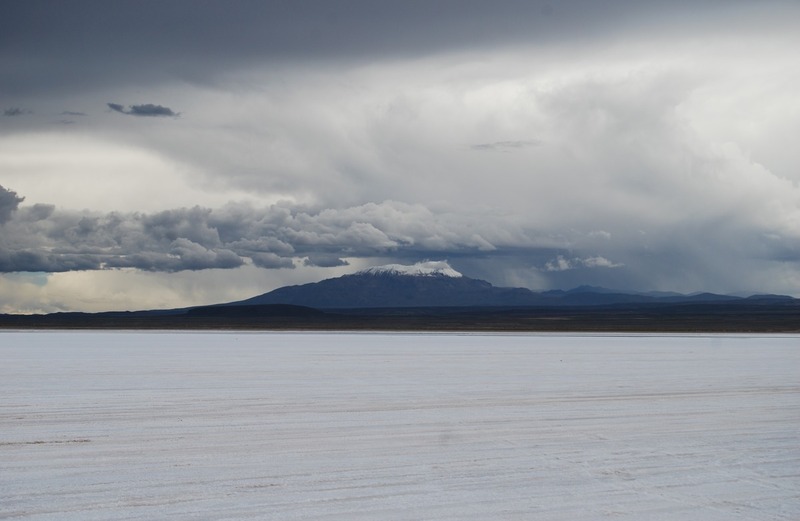 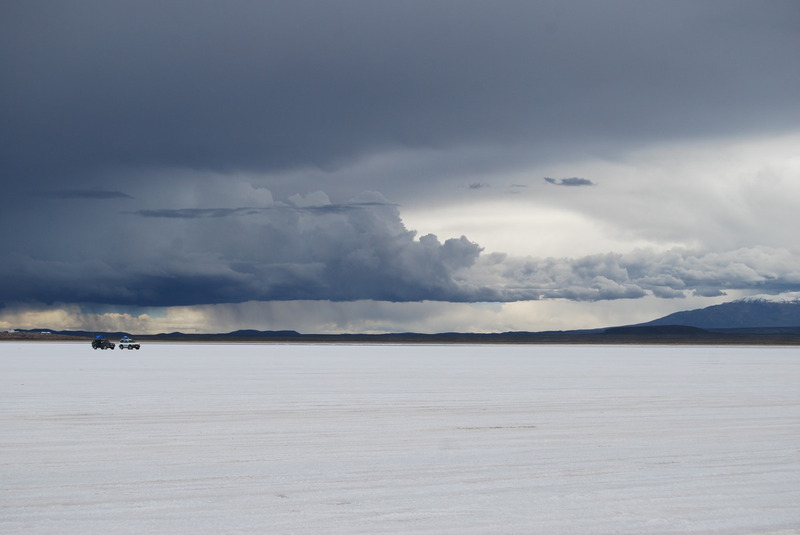 The salt flat themselves are just a huge expanse of white. 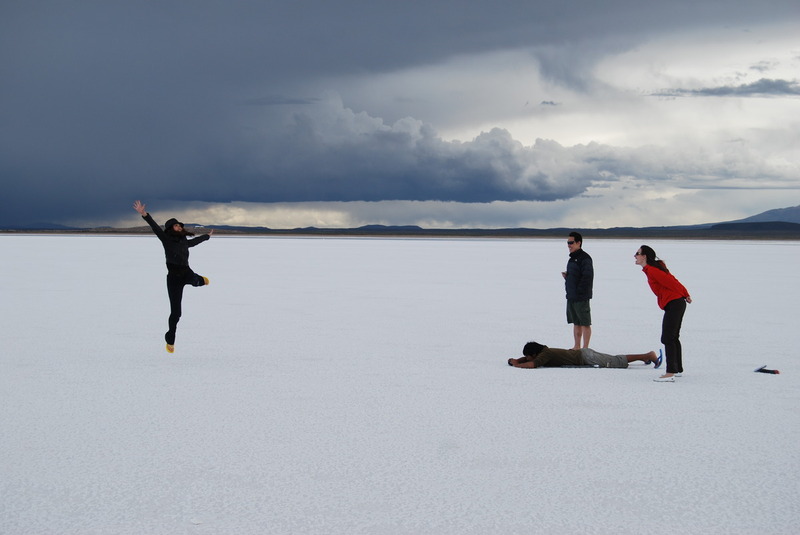 You get spectacular scenes. 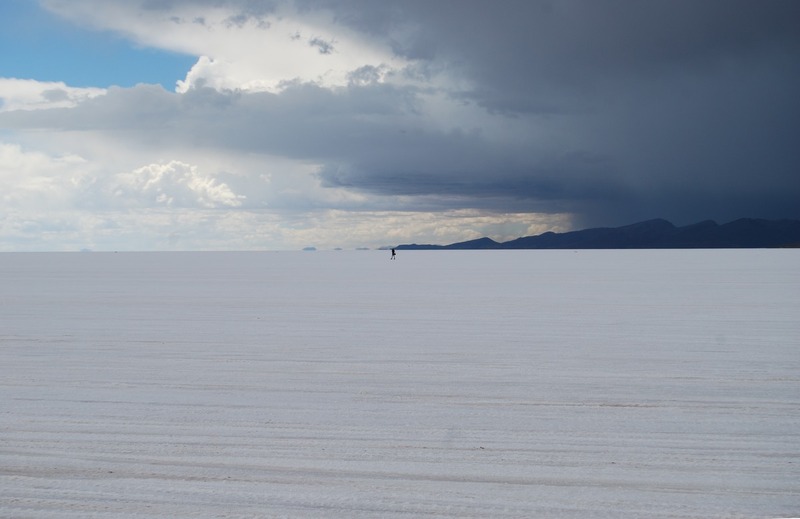 The day we were there there was a storm so we had this fantastic atmospheric feeling. 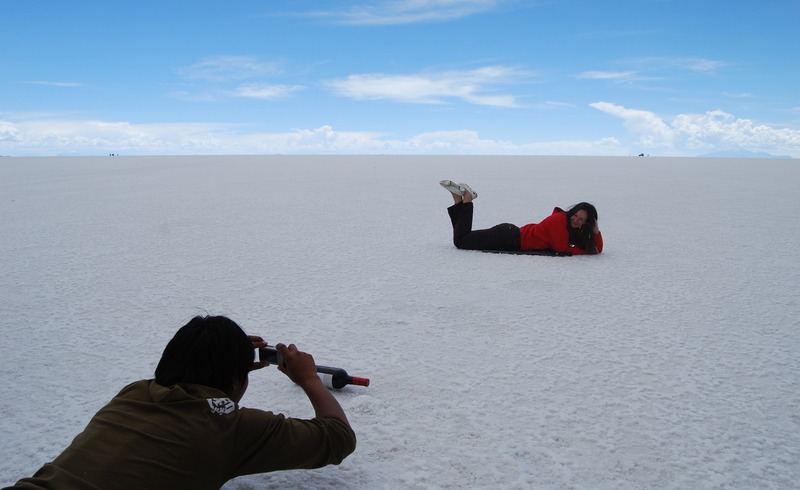 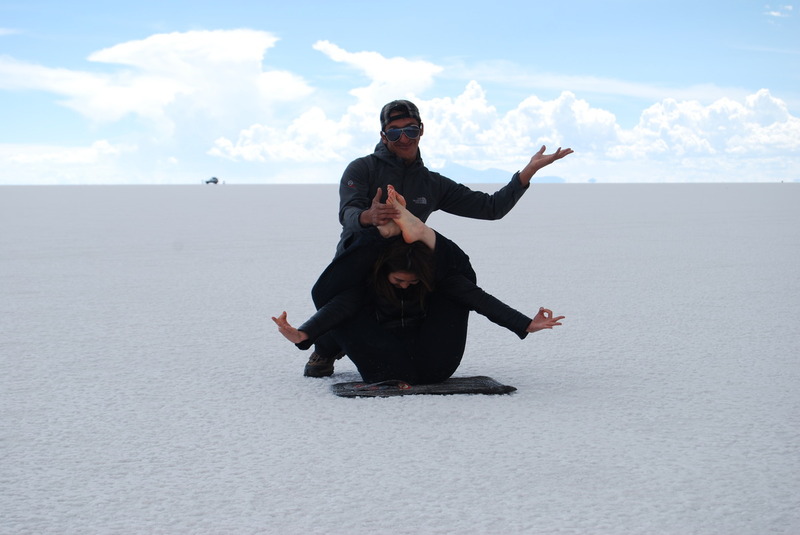 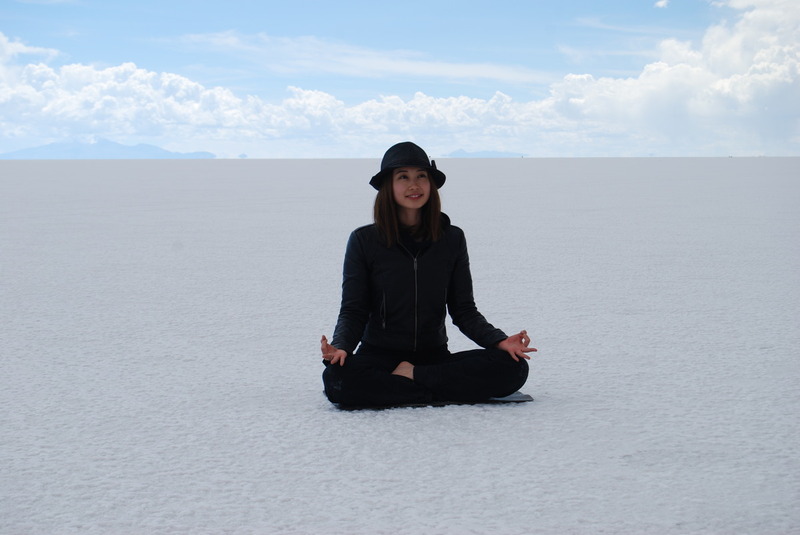 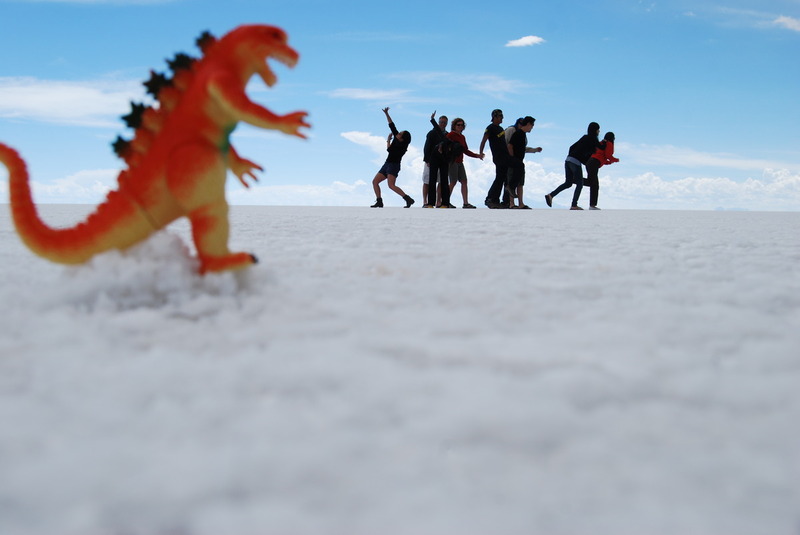 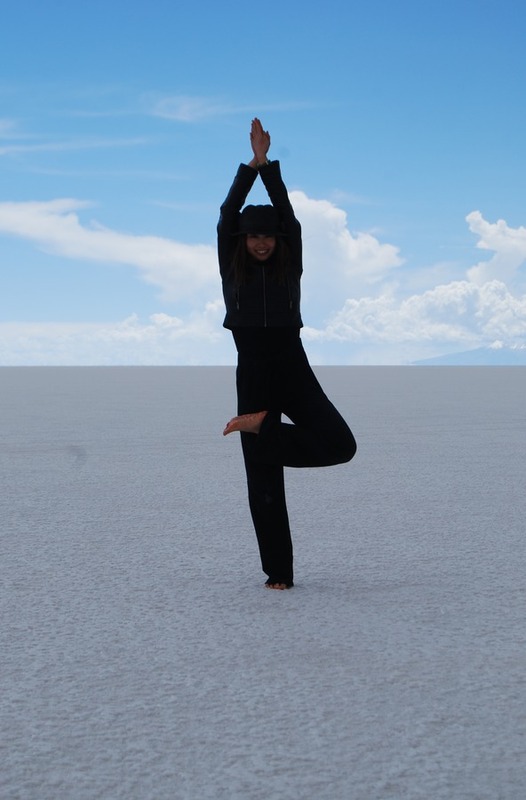 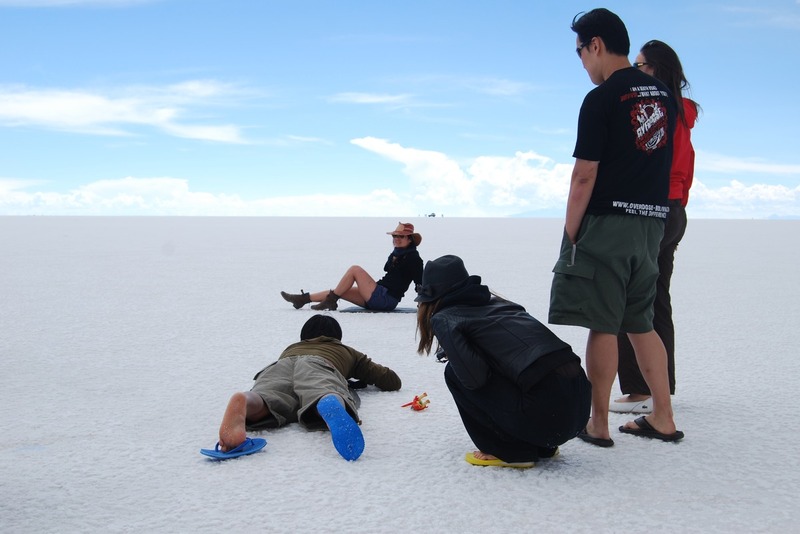 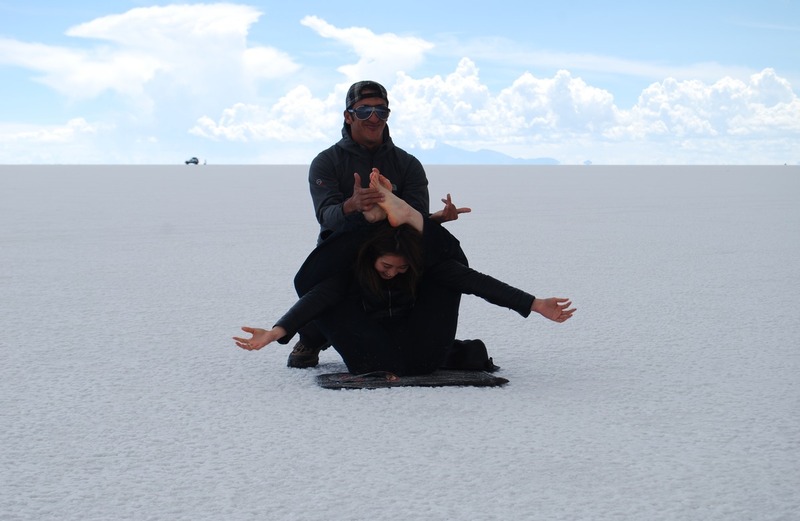 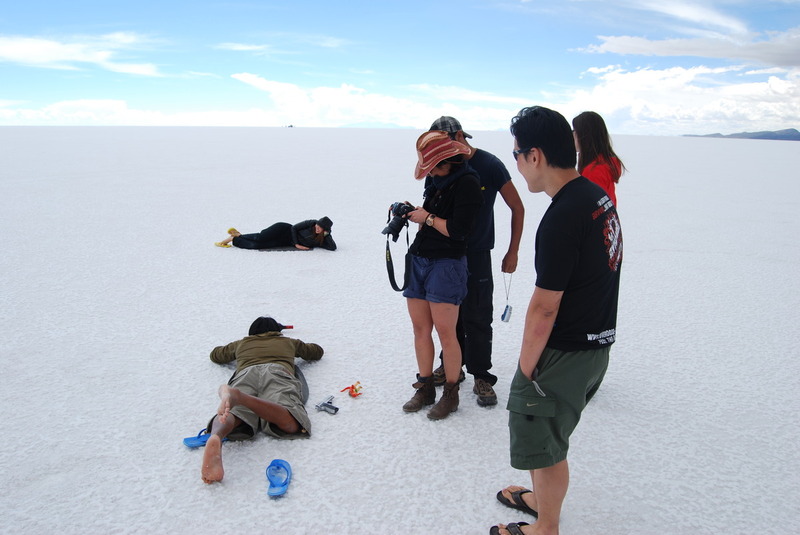 Because the salt flats are just an expanse of white, they're well known for perspective shots, so we got to do all the silly things by abusing perspective, some with better results than the others. Before leaving we stopped at a pool of water on the flats which gave some amazing reflections. 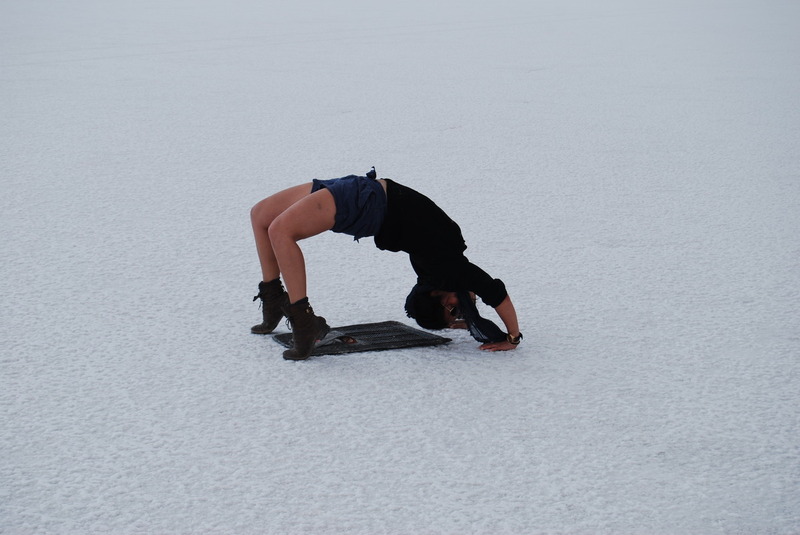 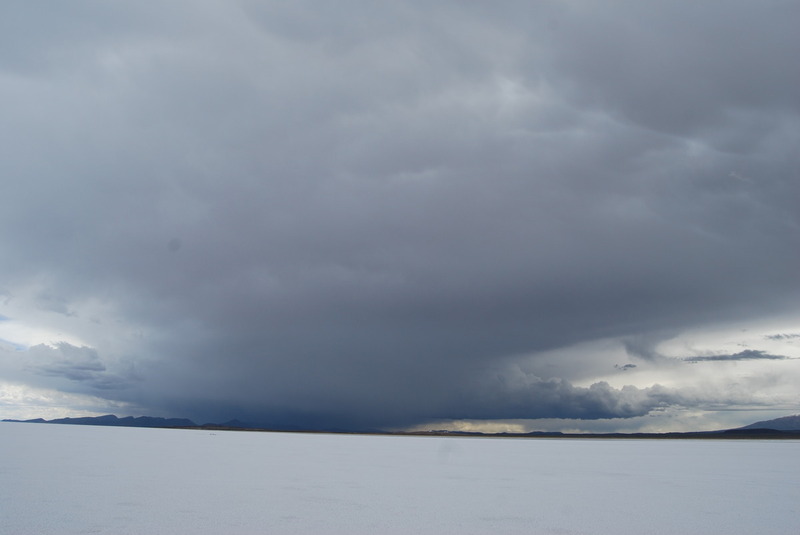 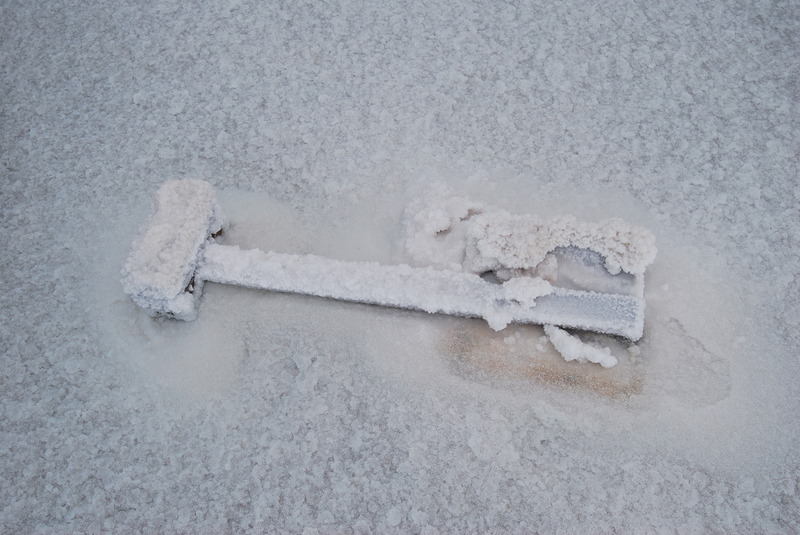 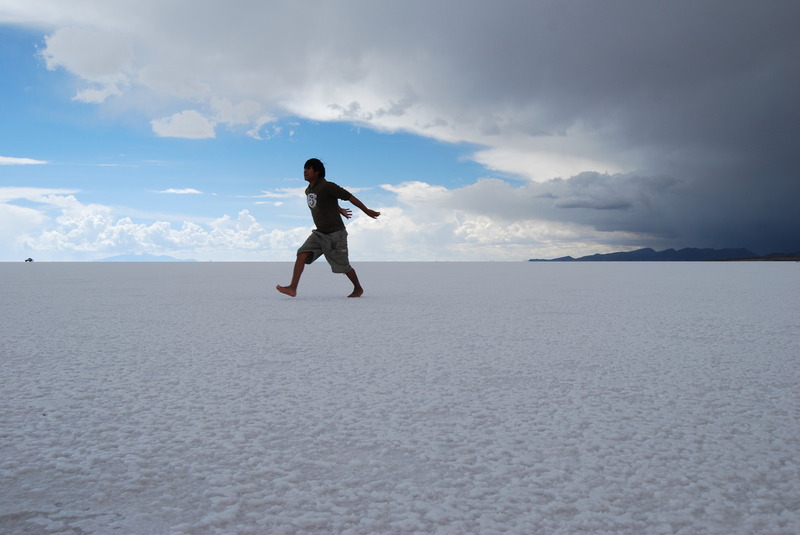 I also discovered that salt flats really hurt to walk on in bare feet. 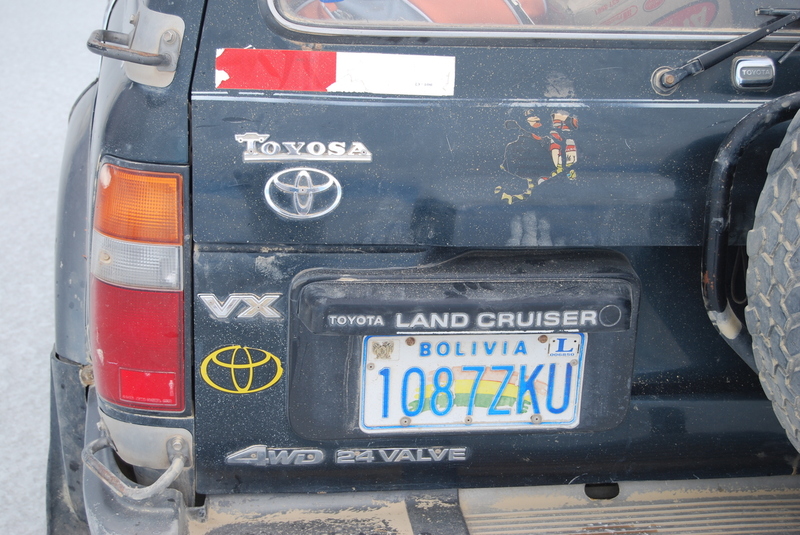 We drove in a Toyosa! 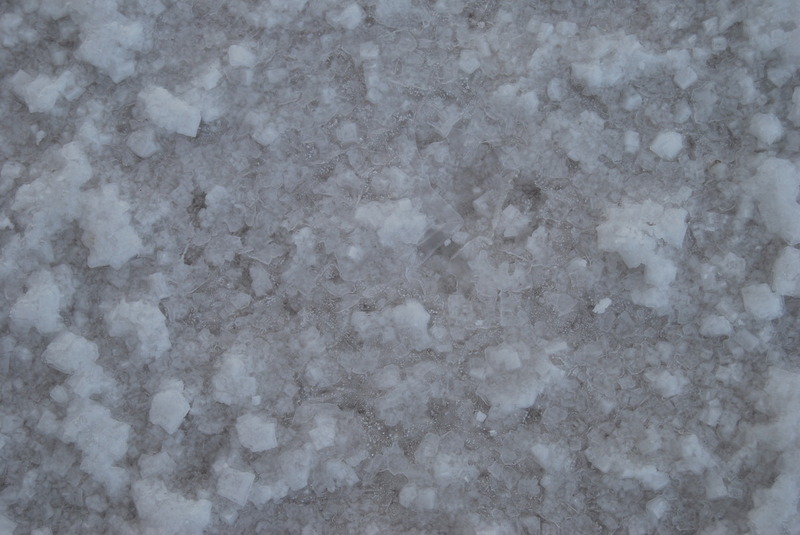 Last modified: May 27 2012 06:09:00.